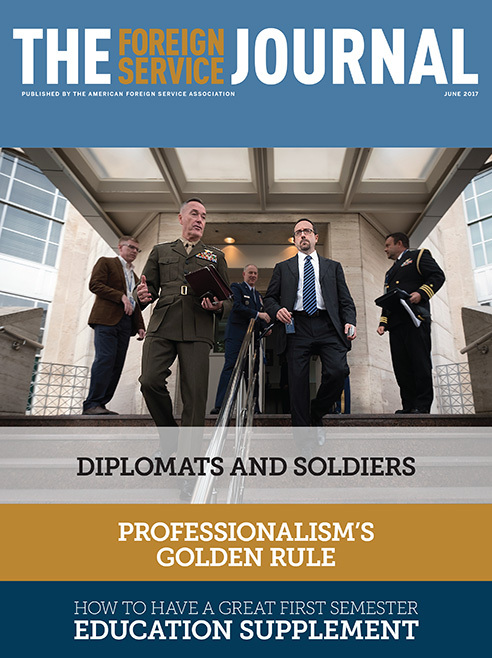 The June issue focuses on diplomacy and defense. There has been a growing convergence of interest between diplomacy and special operations since the 9/11 terror attacks. The challenge for the State Department is not necessarily to reduce the role of the Department of Defense in foreign affairs, but to strengthen our own voice. In the eyes of many around the world, diplomacy has taken a back seat to military operations in U.S. foreign policy. The drone program is a prime example. A September 1988 Conversation with Frank Carlucci. TCKs deal with repatriation issues and reverse culture shock when they attend college in the United States. Here are some tips for success.